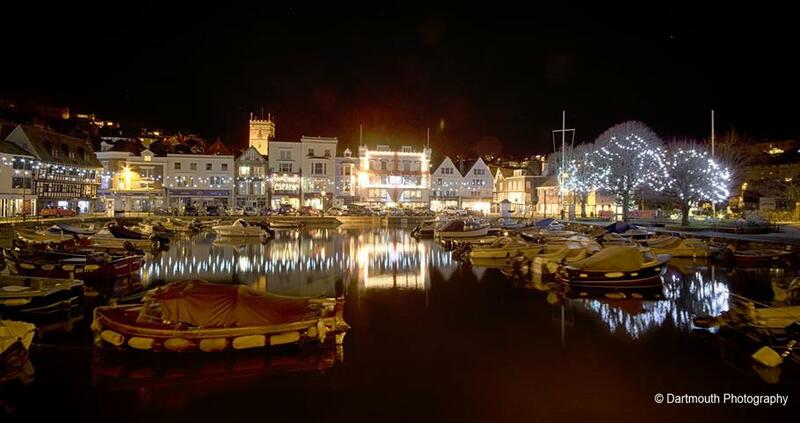 On Friday 29th Nov 19 Candlelit Dartmouth will take place as usual, with the arrival of Father Christmas, turning on the Christmas lights, entertainment and stalls. The town will be decorated throughout the weekend with the Mayflower pennants. On Saturday 30th Nov 19, the event will extend to become Mayflower Candlelit 2019. The procession will be led by a large Mayflower Lantern boat followed by small boat lanterns as well as the usual variety of lanterns created by families. At the end of the parade everyone will be encouraged to take their lanterns to St Saviour’s Church and leave them there. On Sunday 1st Dec 19 the stalls and entertainment will continue in the Royal Avenue Gardens during the morning. The Dartmouth Mayflower Peal will ring out from St Saviour’s church. At 11:00 there will be a family commemoration/celebration of Mayflower 400 led by Father Will Hazlewood in the church with the lanterns and Mayflower pennants being the focus of decoration. The focus will be on the Mayflower story. Music will be provided by an augmented Parish Choir, directed by Christopher Helyer, who will sing the Dartmouth Mayflower Anthem, amongst other pieces. We will also be introducing 2 or 3 of the songs that have been written for the Safe Haven play sung by members of the cast.